Saturday, 10.24.15 Boston Book Festival! Please stop by the Independent Publishers of New England’s table at the Boston Book Festival this Saturday! 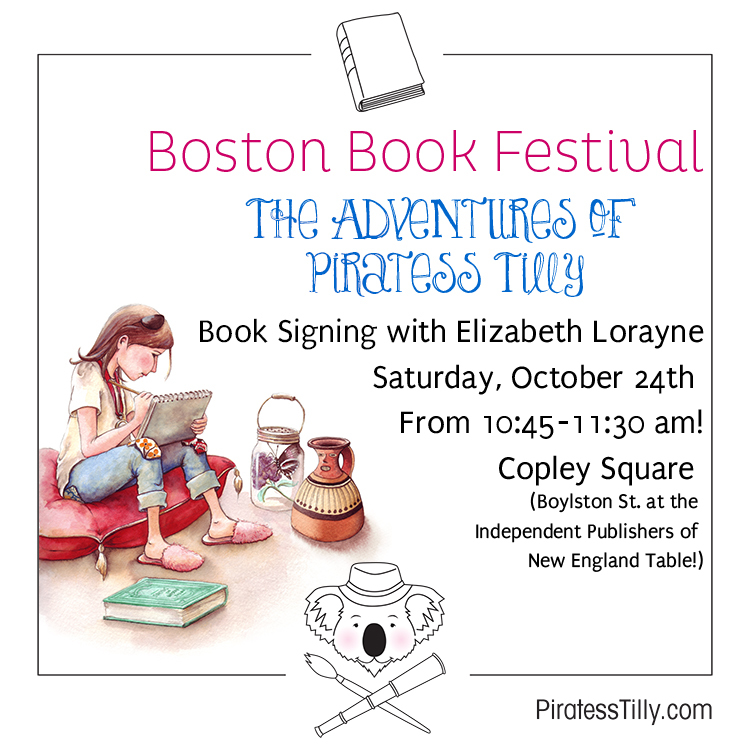 Elizabeth Lorayne will be selling and signing her award winning children’s picture book, The Adventures of Piratess Tilly from 10:45 to 11:30! On the Boylston Street side of Copley Square! Fine Art & Piratess Tilly update!